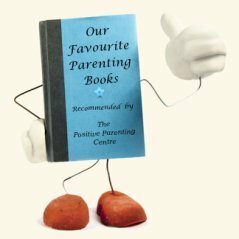 .....Teaching The Golden Rule with "positive parenting" techniques should be viewed as a positive and pleasurable opportunity to discover creative ways of communicating and developing mutual growth for you and your child. You must never underrate the power of this wonderful parenting tool, keep it in the forefront at all times. We all know the principle of the rule, but with life stresses, time constraints, the hustle & bustle of life, we plug away often losing sight of this essential part of our parenting role. 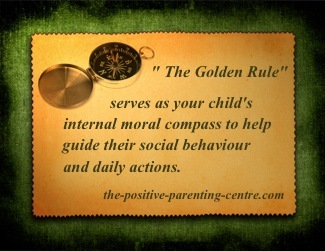 The virtues that encompass The Golden Rule foster the desired behaviour required for positive social interaction and development of an esteemed personality in your child. Kindness, Respect, fairness, patience, forgiveness, trust, honesty, thoughtfulness, consideration, courtesy, co-operation and understanding. All of these positive traits are acquired through encouragement and teaching The Golden Rule's core virtues of empathy and compassion for others. Since your child looks up to you for guidance in such social behaviour, it's important you model the rule's principle at all times. Open your heart and mind, challenge yourself daily to look for opportunities to demonstrate its principle. Your aim in teaching The Golden Rule is not attempting to manage your child's behaviour, but in providing inspiration and motivation to bring out the best in your child. Consciously and intentionally speak and practice the virtues you strive to promote to build a solid foundation of good character traits in both you and your child. It's important to understand, the essence of "positive parenting" is coaching and mentoring your child through kind, positive communication and mutual respect. By habitually using the words of the virtues, they eventually become second nature to your child. Start when they're very young as there is no particular age appropriateness. Children are very inquisitive, if they don't understand a virtue in most cases they will eventually ask you what it means. Many children as early as three or four years of age can begin to relate individual virtues to their actions. As they age and mature their reasoning skills develop, increasing their level of understanding and sense of empathy and compassion for others. Experiment with single virtues at first, increasing them as their vocabulary develops. Refer to our "List of Virtues" for some common examples. While teaching The Golden Rule, it helps to recognize that it is expressed in both a positive and negative context. Depending on the situation, one is more appropriate than the other. "Do unto others"… One should treat others as one would like others to treat oneself. When teaching The Golden Rule, look for opportunities to praise and encourage your child when they exhibit the rule's behaviour. Acknowledging and reinforcing the virtue your child has practiced will validate its worthiness, helping your child to feel good about him/herself and take pride in their actions. Choose a particular virtue you wish to promote and experiment in your own way. As previously mentioned, age appropriateness will depend on your child's level of understanding. Always remember their little minds are like tiny sponges that soak up astronomical amounts of information. Here are some simple examples using one or multiple virtues at once. "That is very kind of you to help me put the groceries away, thank you very much, I really appreciate it." "Thank You for being patient while I was talking with my friend, that was very considerate of you." "Your kindness toward your little sister is very thoughtful, you must love her very much." "You showed a lot of empathy for that boy being bullied. It took a lot of courage standing up for him the way you did. You must feel very proud of yourself." "You showed a lot of compassion for your friend when he hurt himself. That was very kind and thoughtful of you." "You were very forgiving of your friend. He must be very grateful for your understanding; you are a very nice friend." "I can see you are very co-operative with your teacher, that is very considerate and I'm sure she appreciates it." Above are just a few typical examples. Keep an open mind for opportunities, be creative and most importantly keep the virtues in the forefront at all times. "Do not do unto others"… One should not treat others in ways that one would not like to be treated. Your child hits another child, screams or yells at someone, is not showing fairness, lies to someone, is not being courteous or co-operative, etc. The intent is not to shame or lecture or instill guilt, but to help them understand their own feelings in order to learn and grow. The purpose is to promote learning through understanding and reasoning, not by punishment or any type of punitive action. 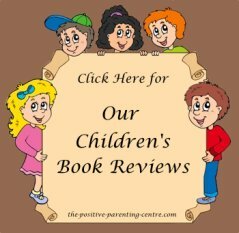 It is of particular importance not to tell your child what to think or do, but to guide them through their own thought process in order to develop their own judgement skills and problem solving abilities. Never rush this process, it takes time and patience, but… the bi-products are immeasurable. Every child has their own pace and learning style. Expect it will take repeated attempts, however, if properly nurtured all children have the ability to eventually get in touch with their own feelings. The most effective "positive parenting" tool for teaching The Golden Rule, is "active listening." Your child must feel they are not only heard but their feelings are understood. You don't have to agree but you must validate their feelings with love and understanding. Here is a very simple three step process to follow. You will find it works wonders in most cases. After a few attempts it will become second nature to you. Of course you must realize it will take your child some time to develop their emotional skills… always remember… "patience" is a virtue. Understand and respectfully acknowledge your child's personal feelings. Speak with them in private: They have only erred in judgment, show them respect by removing them to a place where they feel comfortable away from other ears. Give them a chance to cool down: As with any adult, if your child is upset he/she will not be able to reason or get in touch with their personal feelings. Speak in a quiet and peaceful manner: Wholeheartedly ask them why they behaved in the particular way. Sincerely listen patiently and attentively: Children need time to process their thoughts and express themselves. Acknowledge their feelings: Don't judge or give advice, use simple words like: "Oh," "I see," "that's why"... This sends a message to your child that you truly are listening. Name and validate their feelings: You may need to guide them; children often need help expressing their feelings… "So you felt angry?" (mad, upset, frustrated, sad, etc.). Model empathy yourself: Acknowledge your understanding, don't necessarily agree or disagree but let them feel understood: "I can understand how you might feel that way." Affirm your child's feelings: Explain to your child it's alright to have those feelings, we all have feelings like that at times, but we must use words rather than behaviour to express our feelings. Guide your child in the understanding of empathy for others. Ask your child how they might feel: If the particular action or behaviour had happened to them. (again, you may need to guide them). Clarify their feelings and give it a name: "So you think if it were you, that you might have felt hurt (angry, mad, upset, etc.) too?" Recognize and praise their empathy: "I'm so glad you understand how someone else would feel, good for you." Encourage your child to develop self thinking and problem solving skills. In most cases if you have communicated effectively, they will suggest reasonable solutions on their own. In any event, you should remind them to always use their words to express themselves. Strive for a resolution: Ask your child what they think they could do to make the other person feel better. You will be surprised at this point how often your child will come up with a resolution on their own. If not, help them along with some ideas, be creative in different situations. Of course an apology generally prevails, however... Only have them apologize if you believe it is sincere, otherwise it will be in vain. I can't express enough how teaching The Golden Rule by advocating all its virtues will serve to develop the empathy and compassion required for harmonious life relationships and build honorable and acclaimed character traits commended by all people. "The Golden Rule"..from: "Teaching The Golden Rule"